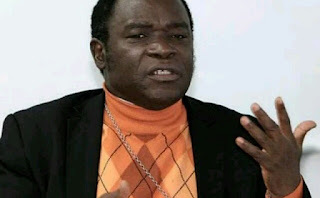 Bishop of the Roman Catholic Diocese of Sokoto, Matthew Hassan Kukah, has warned President Muhammadu Buhari to adjust his style of leadership. Kukah said this in his Easter message titled: ‘Easter Message to Mr. President And All Nigerians’. “Mr. President, you are too distant from your people. “There is a sad feeling that you do not share in the pain and suffering of your people. You must very quickly find a way of connecting with your people before the devil takes over the space,” the cleric said in the letter. The bishop criticised religious leaders for being “as divided as the people” they lead, saying: “We have been seduced by powerful politicians and have allowed politics to corrupt the sacred spaces of religion.